The American Buffalo coin is produced by the US Mint and is available in 1 Oz denominations. 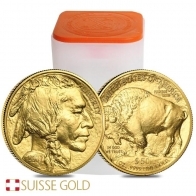 Unlike the American Eagle coin, the American Buffalo coin is 9999 fine investment grade gold bullion. 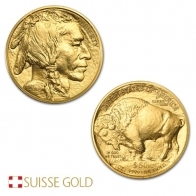 Buffalo gold coins are popular amongst gold investors, and are available for worldwide delivery or for storage in our vaults.